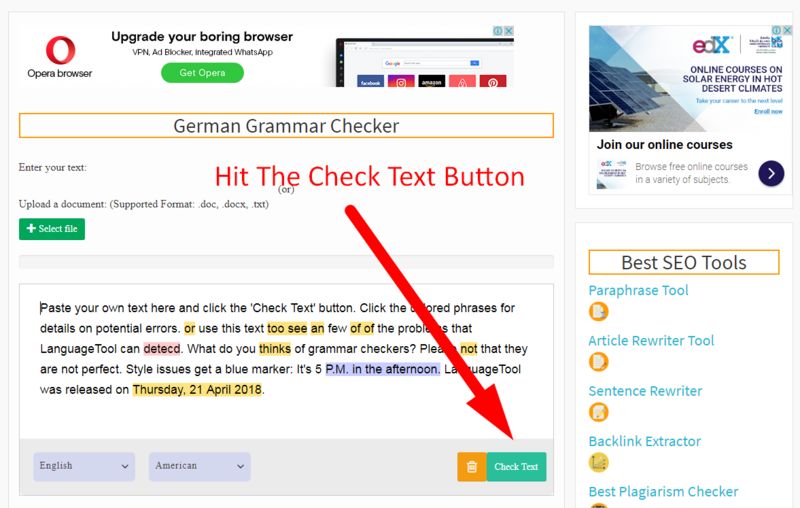 German Grammar Checker Tool is the latest and updated tool introduced by the SEO Tools Centre which is used by thousands of Bloggers to write German contents with perfect German grammar. The contents are the key on which Google and other search engines rank your site. If you have good quality contents that are readable and users friendly, then it will show at first position in the search engine, but if the quality of the text is not good, then you will not get ranked and lose the trust of your reader. Grammar is the important factor in writing of text for your site. 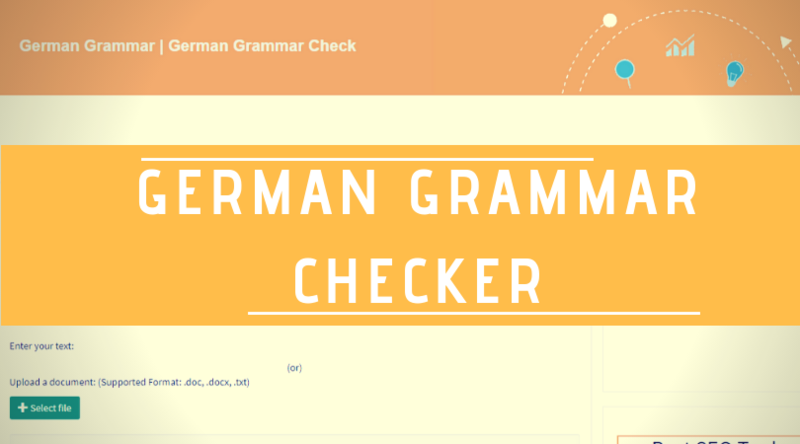 So if you want to write well, you need to have good grammar and this German Grammar Checker tool will help you in this. It is specially designed for the German language to fulfill the requirement of the bloggers who work on the German Language. 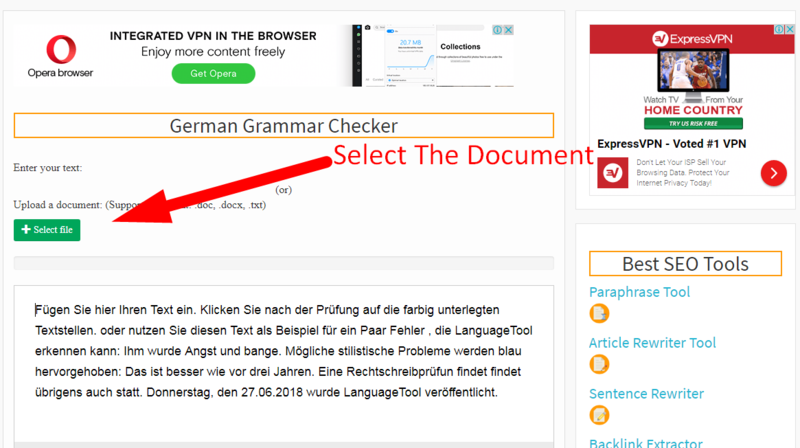 Why use the German grammar checker tool? The German Language is one of the finest languages in the world. It is tough to learn its Grammar especially when you do not belong to the Country where it is the official language. This unique tool by the SEO Tools Centre will help you improve your Grammar. It is very easy to use this and it able to make your article free from grammar mistakes. This online german grammar corrector is user-friendly and enables the user to correct their mistakes. It analyzes all the important things of the Grammar like the noun, pronoun, preposition, punctuation, adjective and many other grammar related things. It is not only the spell check tool like other grammar checker tool available online either they are free or purchased. It not only checks the spell but also checks the grammar which other tools do not. It is the finest tool available at the online tools market that helps you to correct the grammar errors from your contents. It is the free tool and works better than the purchased ones. 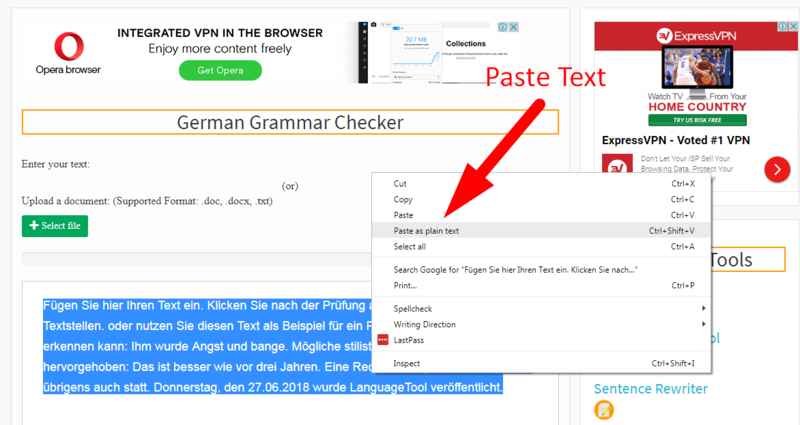 How Does SEO Tools Centre German Grammar Tool Works? This tool operates on a very simple basis. When you paste your article into the given box, it starts analyzing it and finding the mistakes. As it functions quickly, therefore, it finds all the errors including spellings and grammar in no time. You do not need to wait for a long period to check your grammar which you have to while using other unauthentic tools. How to use this tool at the SEO Tools Centre? 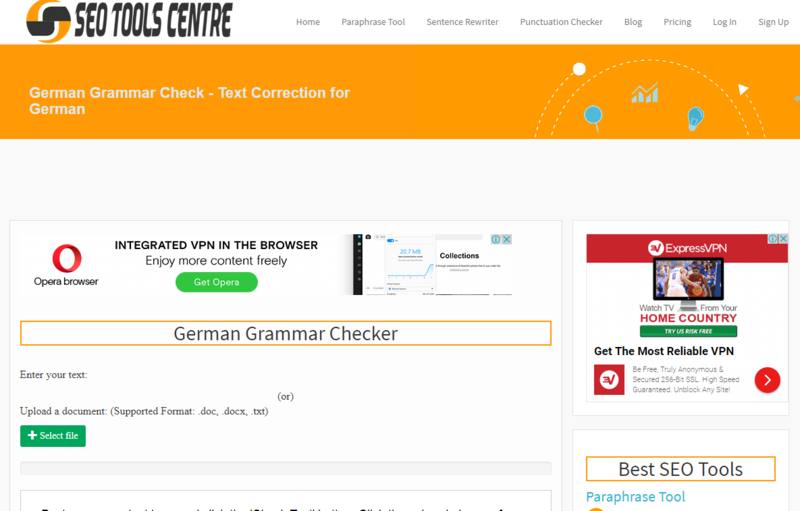 To use German Grammar Checker tool go to the tool page. Select the "German Language" from the drop-down. Select the "German document" file. Or "copy and paste" the German text. Hit the "Check Text" button to correct the German. It will give results by highlighting the words with the suggestions. 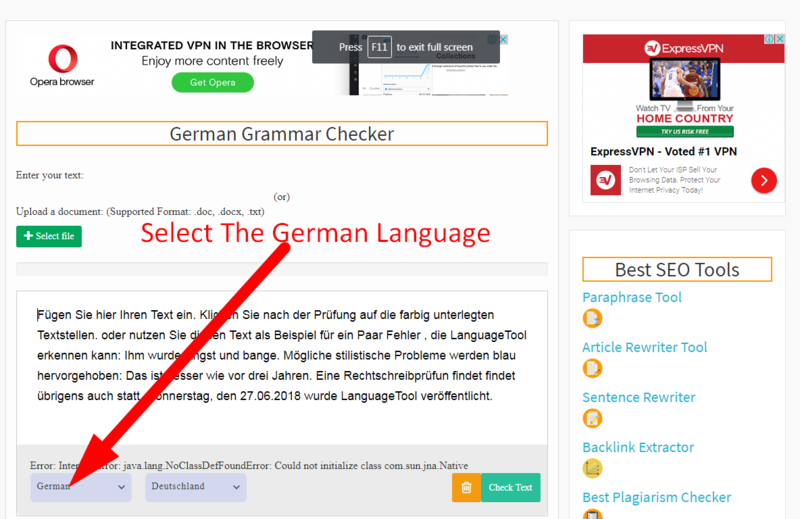 What you have to do now to follow the suggestion to make to article free from German Grammar Mistakes. SEO Tools Centre is the place where you can find best tools for your online business that help in increasing the business in many ways like its tools assist in improving SEO of your site due to which shown in the top ranking in search engines.